In 2002, Terry Emmerson wanted to expand his horizons, and the thought of owning his own electrical contracting business really excited him. Like most entrepreneurial ventures, he started out small. 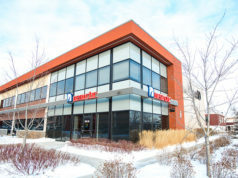 “We started Provincial Electrical Services in a second floor office space, thinking that’s all I would need,” Emmerson confirms. Emmerson’s success is due, in part, to doing things right from day one. When he left the company he had been working with, he didn’t ask any of his former coworkers to come with him; but that didn’t stop some from joining him of their own free will as they recognized his leadership and vision. He credits the growth to several factors: always being able to take on the challenges of the construction industry, thanks to strategic company positioning, developing relationships with clients and delivering services and projects customers and contractors could rely on. “Our growth came naturally as the projects came in,” Emmerson continues. “We had to add more field staff, and we also hired Darlene.” Emmerson praises office manager Darlene for creating and implementing office procedures that drove up the company’s efficiency, which, in turn, attracted even more clients. 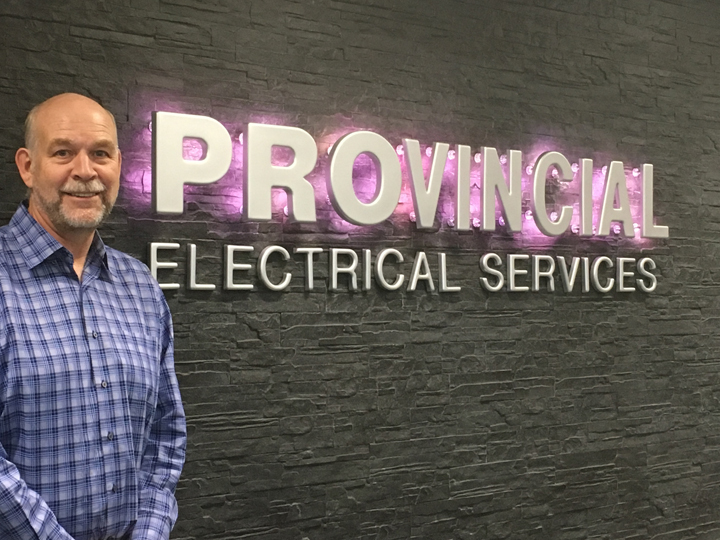 The growth didn’t slow down, and three years ago, Provincial Electrical moved into a piece of Edmonton’s history. The current location on 7429 -72A Street was the Capital City’s second McDonalds. 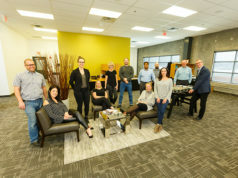 Emmerson completely overhauled the space, adding speciality lighting in each room and allowing each staff member to pick an inspirational saying for the wall of their spacious office. He outfitted the offices with the technology they needed to work efficiently. The warehouse is clean, organized and spotless. 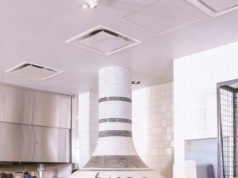 In the back, just above the staircase, he preserved a section of the original McDonald’s flooring, showing that no matter how far Emmerson, or Provincial Electrical, goes, they never forget their roots or those that helped paved their path forward. Since 2002, Provincial Electrical has been a member of the Edmonton Electrical Contractors Association. Emmerson has sat as the president of the Edmonton chapter for two years, and has sat on the provincial board for four years. “These years on the board helped me understand the business and also the legislative side of our industry” he says. Provincial Electrical also maintains several security clearances and all applicable safety accreditations. “This shows the type of people we have and the type of organization we are,” notes the founder. “We are able to attain the security clearances and safety accreditations required to work in speciality areas based on the needs of the client and the quality of staff we have retained. A quick survey of the staff more than confirms how happy they are to be working with Emmerson and for Provincial Electrical. “There are no politics here. We respect the person we work for,” smiles Darlene as the others chime in with praises for the family atmosphere, rapid growth, professional opportunities, flexibility, integrity, support—and for it just being a really fun place to work. Today, as Emmerson looks back on 15 years and remembers broaching the subject of putting the house up as collateral for his business with his wife, he can’t help but chuckle with in his modest, quiet way. “The house was never in jeopardy,” he says happily. It looks like things worked out just fine. He thanks his family, Jennifer and his son Sean, for their unwavering support. He’s also incredibly grateful to his team for their dedication, commitment and willingness to always learn and grow personally and professionally. Emmerson and his team say a big thank you to their past, present and future clients. “We are fully engaged as a team on each project, and we keep up with technology in this eve- changing world to provide the best service we can possibly provide. “There is succession planning going on. Key individuals that are transitioning into partnerships. It’s important for people to understand that we are solid, growing, and that it’s our long-term employees who believe in Provincial Electrical that make the company so solid. They believe in us and we believe in them. It has been a solid organization of believing in each other, and this enables us to go out and take on projects.